At Discount Plumbing, Heating & Air our plumbers and HVAC techs aim to take care of all our local markets specific needs. In Tracy, plumbing problems are commonly related to very hard water and hasty build new construction. When you combine major soil factors with Tracy’s hard water you are bound to run into plumbing problems. From backed up toilets to busted water heaters Discount Plumbing is ready to send a skilled plumber to Tracy and surrounding areas 24 hours a day. If you are in need of Tracy plumbers ensure that you are choosing only a quality company. Despite the numerous plumbers in the area, not all of them will provide you with the plumbing services that you need. If you want to find a quality Tracy plumber who will provide you with outstanding services and great prices, Discount Plumbing Tracy plumbers provide them all. We stay up late so you don’t have to! Just call our hotline at (209) 836-5858 any time 24 hours a day and we will send a plumber right away! We also do not charge extra fees for weekend plumbing services in the Tracy area. 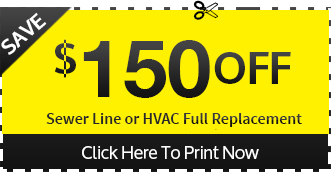 One -Year Repair Warranties on most plumbing. We stand by our work in Tracy… most companies stop at 30 days! Your local to us and we like to reward that. Get the job done now, get the job done right with our online reader special! Call 24 hours a day (209) 836-5858 or Click Here to Book Service Online! Discount Plumbing has been serving Tracy, California for over 20 years! We offer maintenance services for clients in the Tracy area extend the life of your home mechanical systems. Have a highly drained plumber look after your home. Tracy homeowners trust for all of their installation, repair and replacement needs including: sewers and drains, faucets, sinks, toilets, showers & tubs, waterlines, pipework, disposers, dishwashers, water heaters and septic tanks. Emergency service is our specialty! You can depend on a highly trained plumber and our quality service 24 hours a day. You can also schedule an appointment with a plumber in Tracy at your own convenience.